Prior to visiting Amy's Bread, that group of friends and I had been underground, taking the $10, half hour Murray's Cheese Cave tour. And yes, it is everything you think it is, except the dark, damp cave part. Have you noticed my love affair with Murray's? When Moniker and her hubby, Loc Dog, proposed finally taking the cave tour, I was in. I didn't really know what to expect, but I didn't think it would be a true cave being in Manhattan and all. 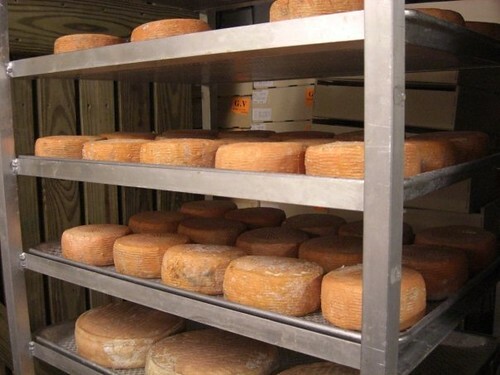 Murray's wonderful affineur, Zoe Brickley, leads the tours through her underground domain. 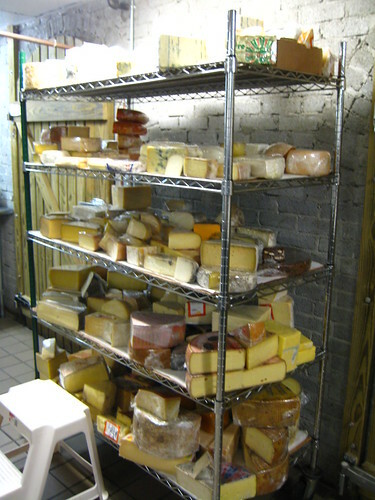 Underneath the store, there are four big, humidity and temperature controlled caves along with one huge walk-in refrigerator, all full of cheese. 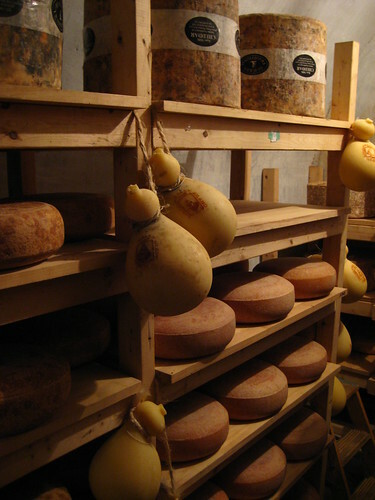 Each cave has its own purpose, one is for younger cheeses, one for washed rind, another for harder, older cheeses. 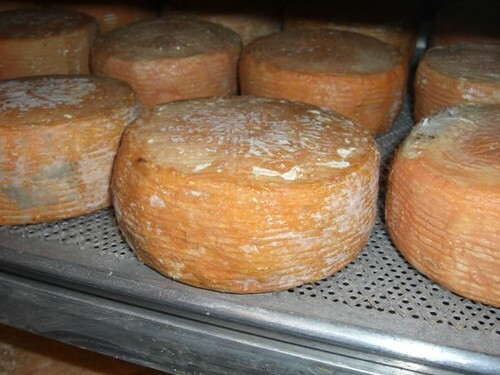 All of us found it really interesting to see how the different cheeses are stored and nurtured prior to sale; for instance, for the bloomy cheeses someone has to pat down the mold 'bloom' every few days while turning, and they're kept on straw mats so that no side goes completely flat leading the rind to develop unevenly. 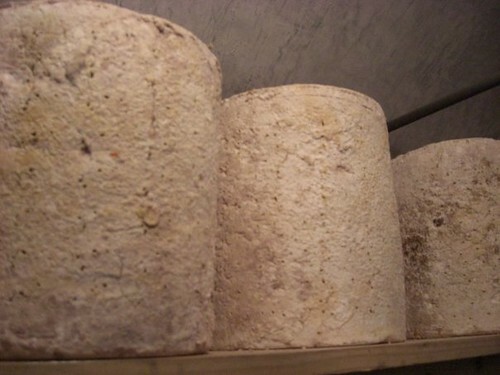 Zoe also gives you a few history lessons, like why is Valencay's rind ashy? See, you didn't even know that you wanted to know that. I think Zoe might have one of the best jobs in Manhattan. You get to see the tools used by an affineur; I always did wonder how they cut 80-pound wheels. Though our tour was only supposed to be for a half-hour, it ended up going on for a hour and we were so glad it did. The best part, she lets you sample a few of the cheeses you're looking at, one of which was the Scharfe Maxx which would work perfectly well in an impromptu sandwich at Grand Central Terminal. I'm not sure when they're doing cave tours again; it's usually one Saturday a month, but they may skip it for the holidays. In any case, click here for more information on the caves and cave days. Tonight is actually their first Beer Pairing 101 class and I'm so mad I'm not going. Fingers crossed that they do that again. 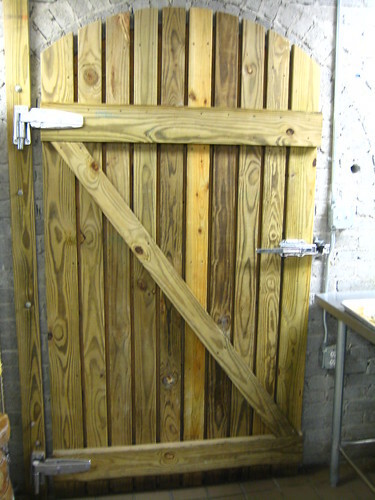 For all classes at Murray's, click here. Lastly, for Zoe's blog, click here. When I retire I'm considering opening a Fromagerie in the Holy Land. I will Call it Cheeses Of Nazareth.